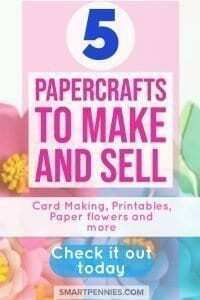 Paper crafts are some of the easiest and quickest things to make and sell especially online! 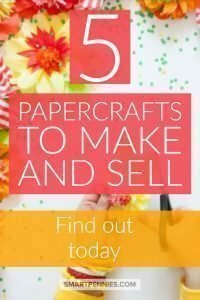 If you want to start a Craft business to make and sell things then Paper Crafts is a great start and don’t cost the earth plus you can sell a lot of digital based products. 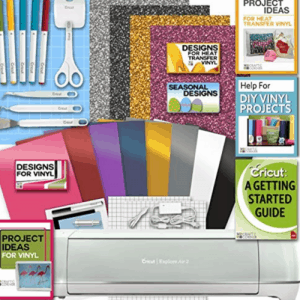 What do I mean by Digital based products- well Printables for a start you can design printables on your computer and sell them online. If I had to pick ONE it would be this one. 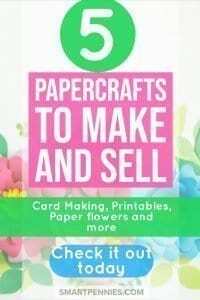 ☑️ This Specific Card Making book gets great 5-star reviews on Amazon. 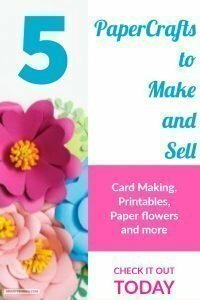 It’s an excellent choice for a beginner Card Maker with clear photos and walkthrough guide just check out the reviews BEST of all it’s under $20. If you find it under $20 then its a bargain so grab it. If I had to pick ONE it would be this one. ☑️ This Specific Paper Flower Making book gets great 5-star reviews on Amazon. 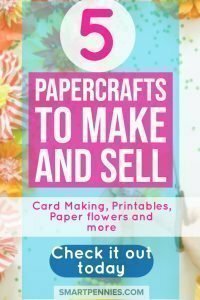 It’s an excellent choice for a beginner Paper flower Maker with clear photos and walkthrough guide just check out the reviews BEST of all it’s under $20. If you find it under $20 then its a bargain so grab it. 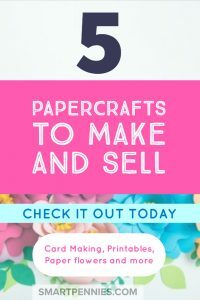 How do you get started with Paper Crafts to make and sell? Having your own Blog can be great because you control the content and what is for sale BUT you have to drive traffic to your site and one of the great ways you can do this is via Pinterest. Because its a visual search engine it can really help promote your products even from your Etsy or Amazon handmade shop. 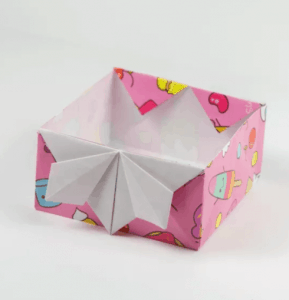 Ready to start your own Papercrafts blog then sign up for my FREE Guide to starting your own blog today. I thought I would break it down for you so you can choose which Papercraft to try your hand at. 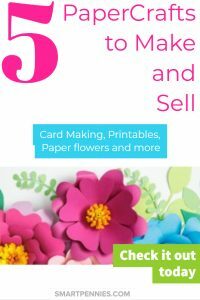 Cards are a great option to start off making and selling because most people still give cards on special occasions like birthdays. 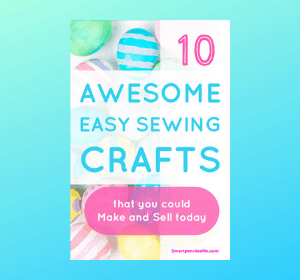 There are plenty of resources to learn how to make cards online plus plenty of information on where to sell your handmade cards. Etsy and Amazon remain popular choices to sell handmade cards. Make sure that you check out the competition on whatever online shopping site you choose to use to sell your cards so you can assess the competition and decide how you are going to stand out from the crowd. You really need to have a unique angle for your cards to stand out. However, you decide to set up make sure that you have a core line of cards that you can continue to make and continue getting the paper and ornaments to make those cards. The last thing you want to do is continue to have to relist new items rather than just relist the old one especially if you use social media to link back to a particular listing which is now no longer online. You will just put people off going to your store. Don’t forget that cards are a seasonal thing too so you need to prepare for the up and coming dates well in advance having lots of stock to sell. If you decide to have your own website along with an online shop on Etsy or Amazon you can connect them to your shop page on your own website. Having a social media presence to generate traffic back to your Etsy shop or Website is key to making sales. You can also design the cards and then use Print on demand services to print when a customer orders. Don’t forget Offline options as well – craft fairs, shops etc. 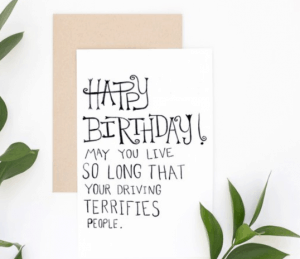 Can you make money selling greeting cards? People will always want handmade cards so as long as you are pricing handmade cards appropriately you can and should be making money. This guide here will help you price your cards. 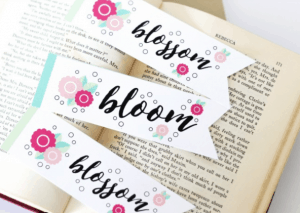 This post gives you lots of different ways to start making your own printables so check it out. The super best thing about Printables is that they are so easy to sell. Add them to your shop whether that’s Etsy or shopify and as long as you have something unique that people actually want you ready to go. No issues with send stock by snail mail. Just immediate downloads for customers. One of the top Printable sellers and bloggers is my Favourite blogger who took the time to reply to me even though I was way down the list in her Inbox I was super impressed. This gives you a flavour about what you can achieve! Michaels craft store has a great selection of cardstock the best weight is between 50 to 65 pounds. To hold the flowers together a Hot glue gun is required. Plus if you really want to spend the money then a Circut machine is the next upgrade. 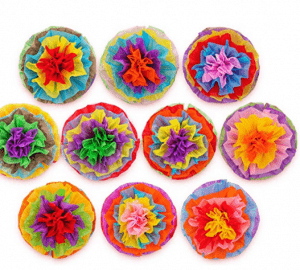 If you don’t believe that paper flowers would sell then take a look at this Etsy site. As well as making and selling Paper flowers you can also start designing. 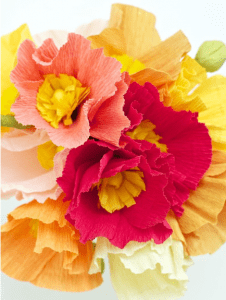 Once you get into designing Paper flowers you can sell the digital files for people to make their own Paper flowers. Decoupage involves sticking pictures or pretty paper napkins to things! That’s it basically in a nutshell. To start off with you will need things like Decoupage glue, varnish to seal, pretty paper and a large flat brush. Some things may need painted white to allow your paper is stuck down to help it stand out. You can decoupage any number of items like books, hangers even make Jewelry etc so you can decoupage small items and sell them online. 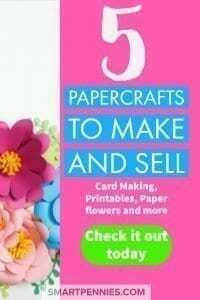 Ok on to the action stuff I hope you liked my run through of the different paper crafts you can start today that you could turn into a business. 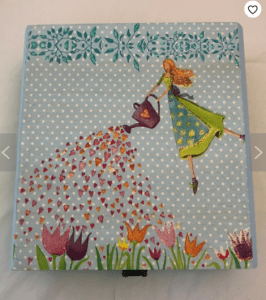 Just one last bit of information make sure you are allowed by the owners of images / patterns to use them to make and sell the final products – this includes any decoupage items. 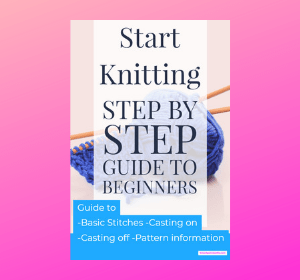 This is a lovely tutorial not only does Suzonne go through the tutorial on the webpage but she also allows you to download a printable template and tutorial cool! Isn’t this unique! 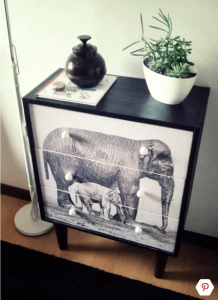 Of course you don’t need to decoupage something this large you can stick to smaller items that are easier to ship but it can give you inspiration about what is possible! Here is more inspiration for you on Etsy this gorgeous little box you can find out more about it here. You could make these for wedding invitations. They would look great on a table. 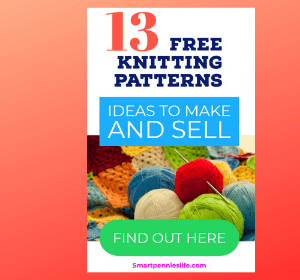 This post gives you some great ideas for the sort of Printables you could make and sell. This little article will give you the basics about what to think about when designing greeting cards. 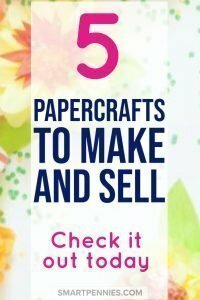 I hope you enjoyed this post on how to make and sell Papercrafts if you did please share.